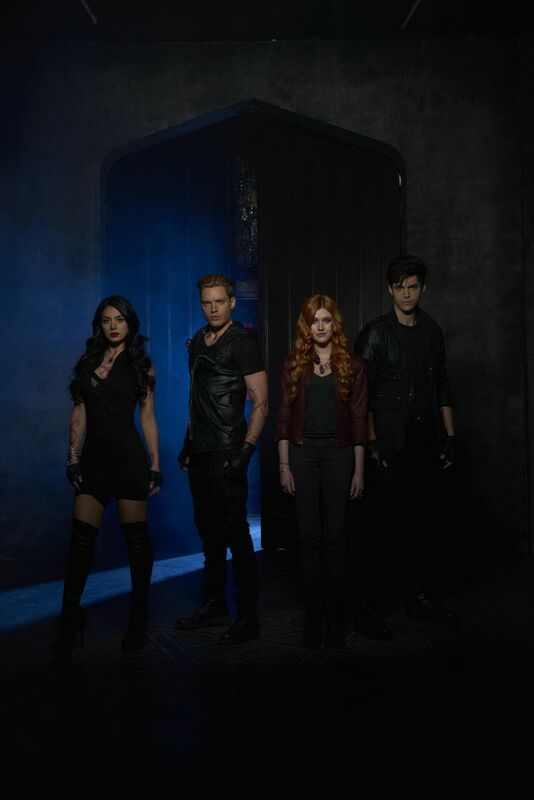 Shadowhunters. . HD Wallpaper and background images in the Shadowhunters TV दिखाना club tagged: photo dominic sherwood jace wayland katherine mcnamara clary fray matthew daddario alec lightwood shadowhunters tv series emeraude toubia izzy isabelle lightwood. This Shadowhunters TV दिखाना wallpaper contains बिजनेस सूट and संगीत कार्यक्रम. There might also be अच्छी तरह से तैयार व्यक्ति, सूट, पैंट सूट, pantsuit, पैंट्सट, अच्छी तरह से कपड़े पहने व्यक्ति, सूट, and कपड़े का सूट.